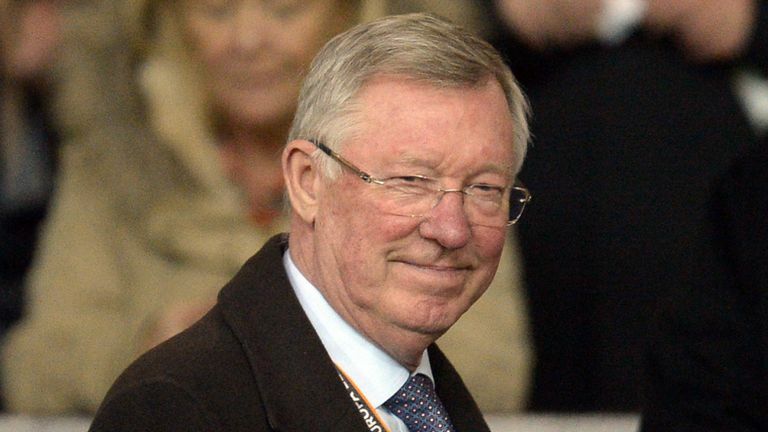 Sir Alex Ferguson ‘could’ Attend Manchester United’s Opening Game Of The Season. It’s the news everybody wanted to hear. Sir Alex Ferguson is hoping to be fit enough to attend Manchester United’s opening game of the season against Leicester City on August 10. Sir Alex was rushed to Salford Royal Hospital on May 5 and was put in intensive care after suffering a life-threatening brain hemorrhage. He is now recovering from surgery and according to reports, he ‘hopes’ to be in the Old Trafford directors’ box next month. Sir Alex spent four weeks in hospital before being released, with doctors saying he is"extremely lucky" to be alive, but now he is showing no signs of slowing down. "His surgeons have decided to operate almost certainly because they felt the size of the blood clot was causing damage to the remaining brain tissue. This is often life-saving surgery and aims to reduce any long-term disability Sir Alex might suffer from this form of stroke," he wrote in Independent Ireland. "For the first few days after the operation, the focus is on the patient’s life support. A prognosis is very hard to give in the first days and often for some weeks. "If they survive without signs of improvement after several months, then it is unlikely that an individual will return to their former health. However, in the immediate aftermath there is everything to fight for and the potential for a full recovery, albeit sometimes after a long period of rehabilitation." It would be fantastic to see the legendary boss back in the stands, if he can make it in August.